Our product range includes a wide range of pre engineered water treatment plants. Keeping in mind the end goal to meet the prerequisites of the customers, we are giving a wide cluster of Pre Engineered Water Treatment Plants with most extreme quality. These items are manufactured utilizing preeminent quality material and propelled engineering at our preparing unit. Before last dispatch, our offered plant is thoroughly investigated by our specialists on certain quality parameters according to the set business standards. These items can additionally profited by the customers at affordable cost. 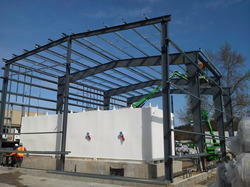 Looking for Pre Engineered Water Treatment Plants ?